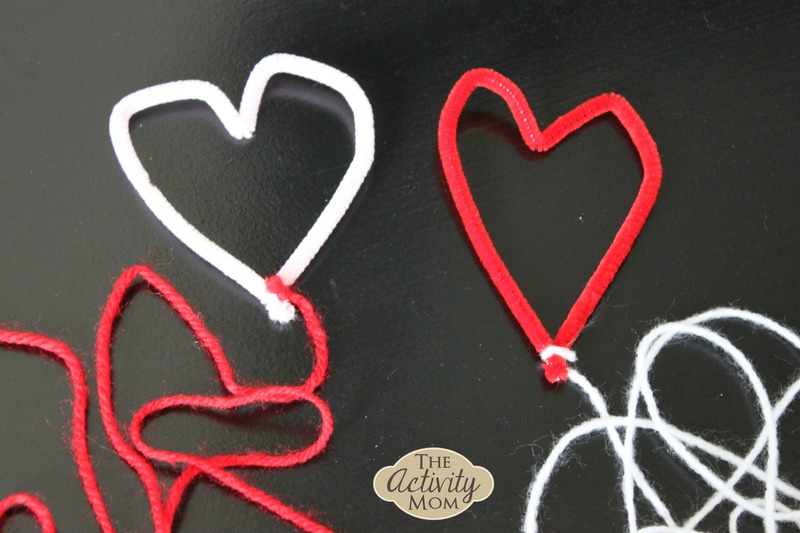 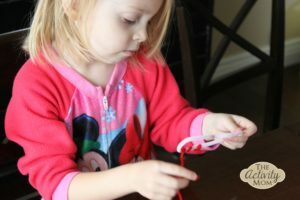 Heart Art is an opportunity to be creative and develop fine motor skills at the same time! Start with a pipe cleaner. Bend it in the middle and twist the ends together. Push the middle of the loop down to form your heart. 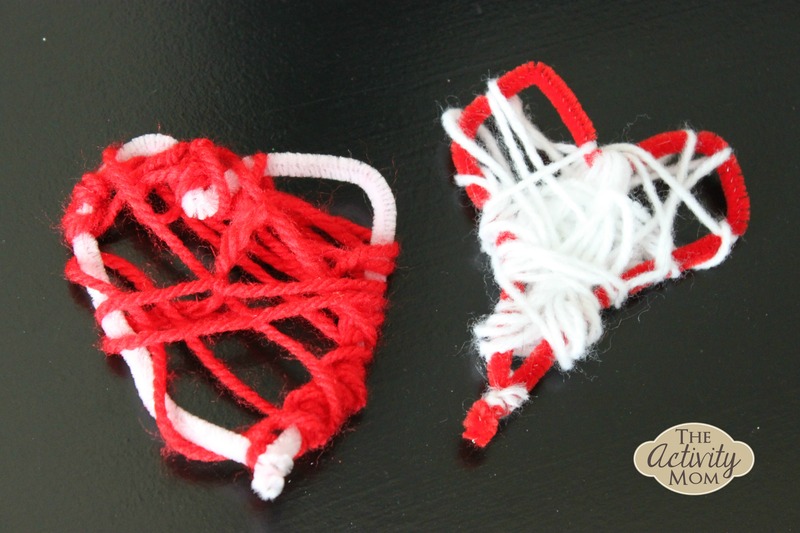 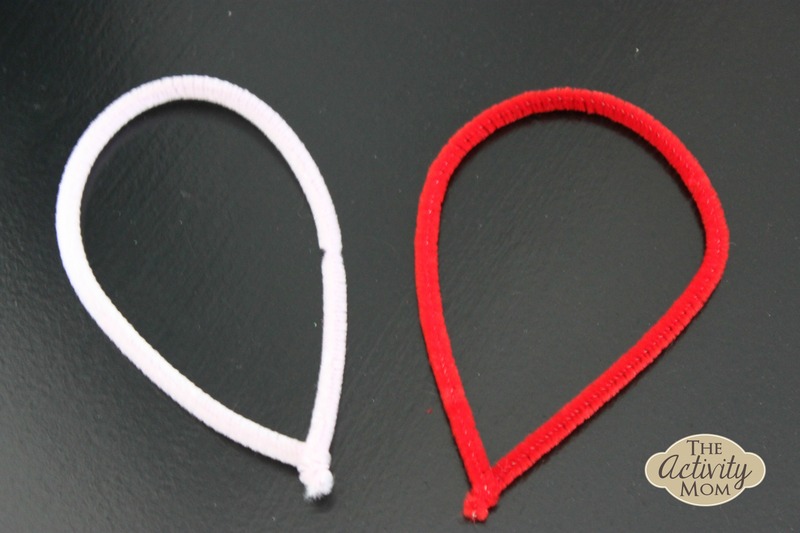 Tie a piece of yarn or string on the bottom of the heart. Wrap, twist, and loop the string. 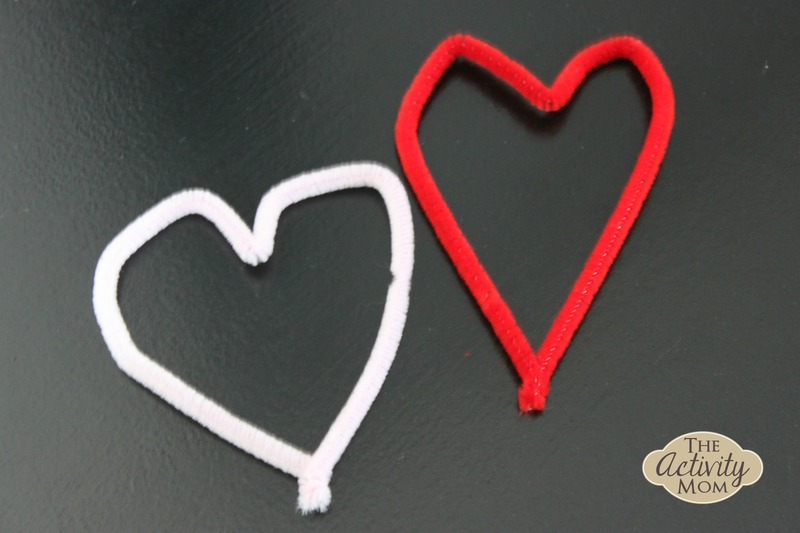 Remember it is the process that is important, not the end product!